Note: The EV1 will be moving to American on the Move on January 19, 2016. Creating a modern electric car demonstrated the differences between invention and innovation, and the challenges of each process. Invention is the development of a new idea. Innovation is bringing the idea to market and convincing society to adopt the technology. The EV1 was the first modern electric car designed for a mass market. Beginning in 1996, General Motors built 1,117 of the cars and leased most of them to consumers in California, Arizona, and Georgia. 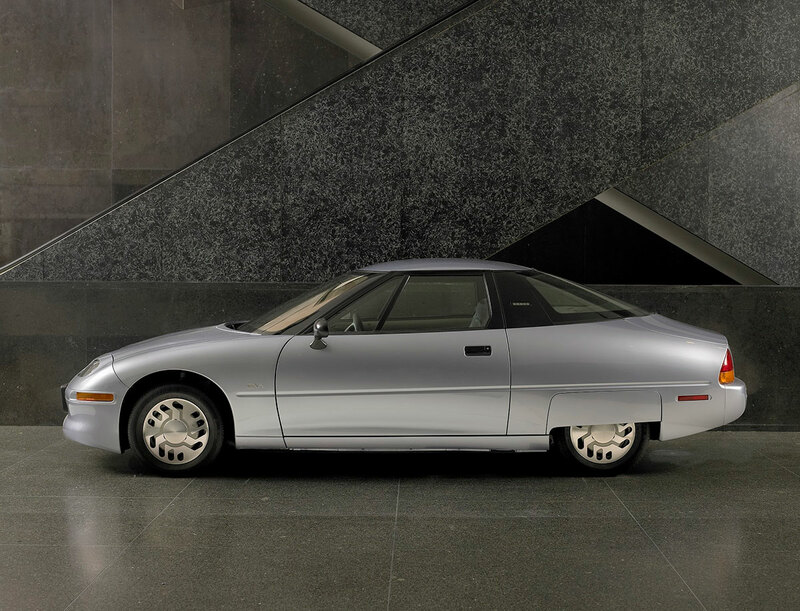 The EV1 became the focal point of a national discussion about innovation and the promise of reducing air pollution and dependence on oil with electric cars. In 1990 the California Air Resources Board required automakers to offer emission-free vehicles by 1998. 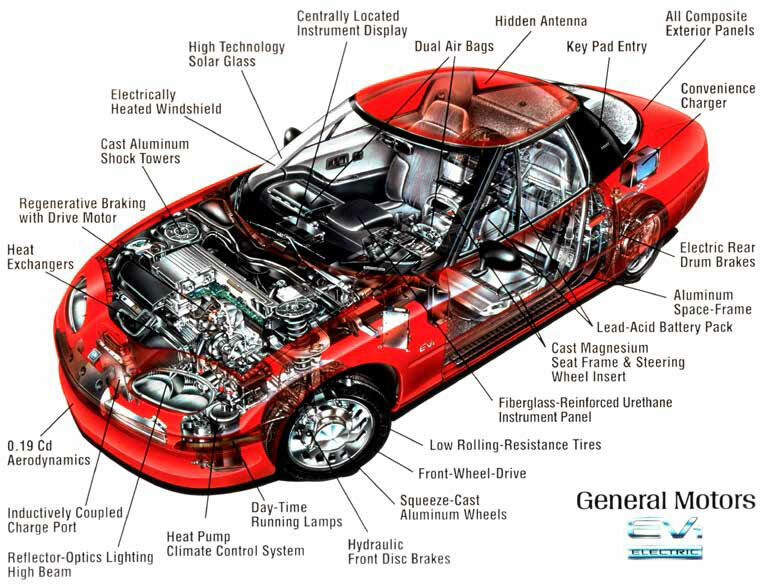 The EV1’s aerodynamic shape and advanced power management systems, developed by human- and solar-powered aircraft innovator Paul MacCready, AeroVironment Inc., and GM Electric Vehicles, made the new car practical, energy efficient, and appealing to consumers. But in 2003 GM abruptly canceled the EV1 program, citing high production costs and a small market. Citizen protests over the EV1’s termination reflected public demand for energy reform. Concerns about air pollution and climate change, and interest in lower energy cost per mile and appealing drive qualities, created a market for electric cars. In 2010 GM began selling the Chevrolet Volt, a hybrid car with a gasoline-charged electric motor. The all-electric Nissan LEAF, Tesla Model S, Ford Focus Electric, and Chevrolet Spark EV expanded energy choice while eliminating tailpipe emissions. The EV1 combined advanced propulsion controls with power options and passenger amenities. Its quick acceleration, clean and quiet drive, and low maintenance also appealed to consumers in a lease program.